In today’s world, it can’t be denied that video content consumed is increasing day by day. In fact, it is estimated that around seventy-five percent of internet’s traffic are videos. It would make sense for digital marketers to implement that in their marketing strategy. This will boost their campaign and give it the edge it requires to stand out. However, there are a lot of things to consider while going the video-marketing route. 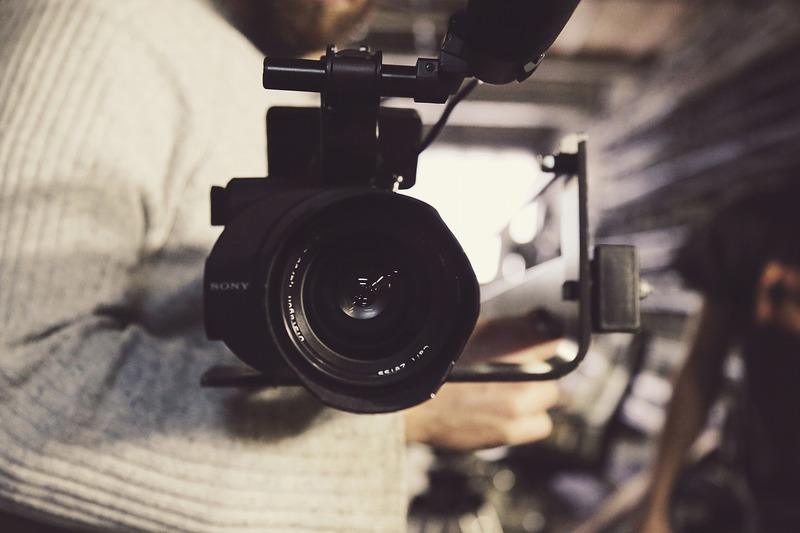 Here are five ways to create an excellent digital video marketing strategy. The most important factor while creating a video for marketing purposes is to know who your target audience is. Knowing your targeted consumer will make sure that you keep your video to the point and explain the content in a way that does not feel like you’re spamming them. On top of that, it will also help you to embed information that is required, and you won’t have to cater to the general consumer. The best way to make sure you reach your audience is understanding what makes them like, share, and comment on the video. Carrying out a survey beforehand will be beneficial to your digital marketing campaign in the long run. To tie it all together, creating video content that your audience want, need or appreciate is a must. And to do that, marketers must make sure that they are creating content that is unique in some way and will attract customers. The only thing to consider while trying to decide on the run-time of the video is the product you’re trying to advertise and sell. It is a common misconception that digital marketing videos must have to be short in length, while that is true for some cases, most of the times it depends on the product. If you feel like you’re advertising a product that is quite simple and laid out then there is no point of dragging on the video to make it seem “professional”. And if you’re advertising a product that you feel like you won’t be able to properly explain in a three minute video, then deliberately shortening the length of the video won’t do your product justice. Going into details about a product that is complicated will make your audience on a deeper level. A 2016 report from FreeWheel stated that long-form video content grew in viewership by almost 38 percent over the year as compared to live ad views. How many times have you seen an ad for a product where a person talks for three minutes and at the end of the video you’re not even sure what the ad was about, even if you wanted to know? Making video content that is generic, over used and boring won’t do you any good whether your video is long or short. Make sure you spice up your videos by adding colorful templates or filters that catch the eye of your targeted audience. Working a bit of humor will be of benefit a lot as not only will it stick in your consumer’s mind but will also compel them to share the video on their Facebook timeline or Instagram posts. According to studies, people will watch more than 50 videos a day and 90 percent of the time they will be watching it on their mobile phones or other portable devices. So, creating content that is easily watchable on portable devices and computer screens will make sure that your targeted audience reach is higher. On top of that, without a doubt, the best place for your video to be is on social networking sites. Most people use social media on their phones so they are more likely to come across a shared or promoted video on their phone than on their computer. You need your video to be mobile friendly. Now that you have all the logistical details for creating an excellent video marketing strategy out of the way, the most underrated one is using a video editor that works best for your campaign. Without properly editing the video footage you have, your work could seem unprofessional and won’t be able to attract customers. Viewers might also brush it off as being spam or something they don’t need without ever watching the video. There is not one “best” video editor out there, but there are a lot of video editors that provide you with different and unique features so you have to choose what works best for you and the type of product you are promoting. Here are few examples of the video editing tools you could use. OpenShot is a video editor that is available on all platforms and provides you with many different features. However, its best feature has to be its timeline functionality which comes with an easy drag and drop option so you can edit your videos directly. It also comes with different frame animations so you can make your videos a bit more eye-catching. Although, known for being a lightweight program that doesn’t hog up your computer’s ram, it still provides you with excellent features. The main features of Filmora video editor include the option of recording your computer screen live and editing it directly in the program, various video filters, FaceOff feature and motion effects while also supporting green screen video recording and editing. Wideo is another computer program that’s a must-have for digital marketers. It features various templates and filters while having unique features like the option to add your own logo or graphic in the video that are quite handy if you’re looking to create eye-catching colorful content.